Chewy made a delivery to our house right before the holidays!! We got some Merrick Grain Free Venison Holiday Stew!! Chloe and LadyBug absolutely LOVED it!! You all know just how much the girls love the holidays and I'm pretty sure that most of your pups and kitties do too!! They do not particularly like it when I dress them up in crazy headgear or Christmas Party Dresses, BUT they definitely appreciate the season more when they get a chance to try some holiday treats themselves...so I gave them a bowl of Merrick's Venison Holiday Stew. Let me just tell you that they licked those bowls clean! They looked like they were fresh out of the dishwasher!! Merrick Venison Holiday Stew is chock full of venison, potatoes, carrots, zucchini, peas and even APPLES...which they do not usually eat!! There are absolutely NO artificial colors, flavors, or preservatives in this food which is AWESOME! 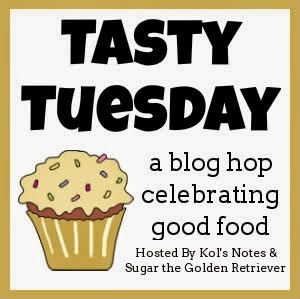 We are joining Sugar and Kol's Notes for the Tasty Tuesday Blog Hop! We eat Merrick dry as our daily food, but their wet recipes are for special occasions and we can't get enough of them! Great stuff, no wonder the bowls were so clean after the meal. 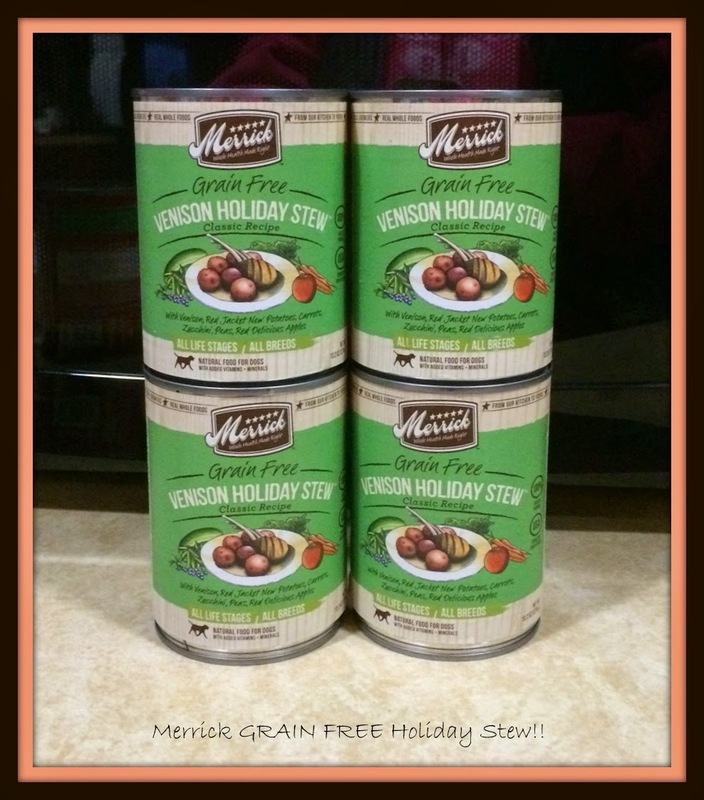 Mmmmh, our pack only eats grain-free food, and Merrick's Venison Holiday Stew sure DOES sound delicious! Hi Jeanne and girls, Hunter is sending lots of loving to the girls and wishes for a Happy New Year! I love your review, great job! My best to you all, so grateful for your friendship! Foods are way better than being dressed up, right Girls? We just love MErricks AND Chewys! !